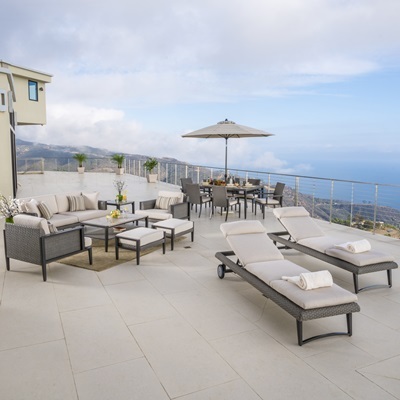 The Vistano Chaise Lounges feature lightweight aluminum frames with hand-woven, distressed gray, all-weather resin wicker. 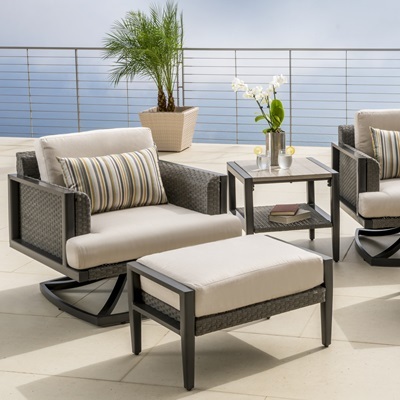 A wide back and body rest with contoured woven insert provide a comfortable lounging area for taller adults, while the 5 way adjustable back rest allows you to select the perfect position for reading, sunbathing or just relaxing. Plush cushions covered in fade-resistant Sunbrella fabric in a warm neutral Canvas Flax adds another layer of comfort. Rolling oversized 9in back wheels allow you to easily move your Vistano loungers around on your deck or patio. Lightweight aluminum frames powder coated in a charcoal Gray finish. 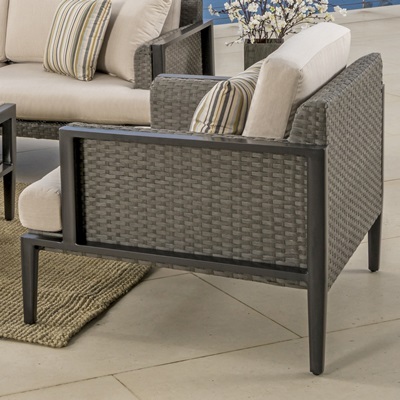 Distressed, cool Gray hand-woven resin wicker. Wide back and body rest with contoured woven insert provide a comfortable lounging. 5 way adjustable back rest. 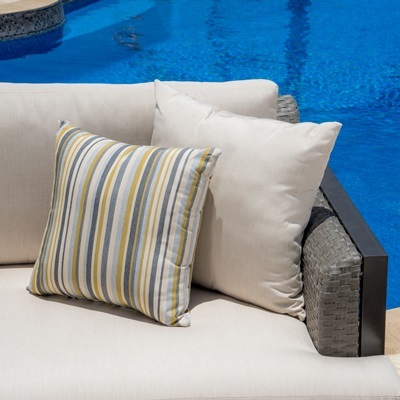 Plush cushions are covered in Sunbrella® fabric. Rolling oversized 9in back wheels allow you to easily move your loungers around on your deck or patio. Comes as a 2 pc set.